Key words:Tyranny; Persecution; War; Conflict; Trauma; Amnesia; Counter-Poetics; Witnessing the Defeat; Hegemony; Propaganda. Key words: War Poetry; Arab-Israeli Conflict; Defeat; Trauma; Arab Regimes; Dictatorship; Censorship. Key Words: Deforestation, Environmental degradation, Shifting cultivation, Conservation, Nagaland, North East India. Keywords: Super edge-magic deficiency, chain graphs. Keywords: Palestinians; Native Americans; Victimization; Violence; Zionism; Resistance; Revolution; Nostalgia. Practices and Challenges of Educational Leadership in Selected Secondary Schools of Bole Sub-city, Addis Ababa, Ethiopia. De-Motivating Factors of Teachers in Selected Secondary Schools of Addis Ababa, Ethiopia. 4. Total Phenolic Compound, Antioxidant Activity of Cultivated Ethiopian Ruta Chalepensis Crude Extract and its Essential oils. 4. 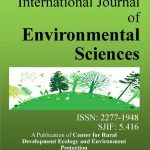 Influence of Rubber Effluent and MPK (15:15:15) Fertilizer on some Soil Physico-chemical properties and the growth of Maize (Zea mays) in a Humid area of Nigeria. 3. Studies on Physico-chemical characteristics of soils of Kadurtaluk Chikkamagalur district, Karnataka, India. 2. 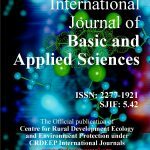 Phytosociological Analysis of Coffee Based Agroforestry and its Aboveground Productivity: A Case Study of Wondogenet College of Forestry and Natural Resource Compound, Ethiopia. 3. 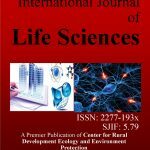 A Preliminary Review of Endemic Plants in situ conserved of Adjara Protected areas in Georgia. 6. A Study on Geo-Physical Feature of Addis Ababa City, Ethiopia.